NORTHERN VANCOUVER ISLAND, B.C. – Mo appears to be on the mend. 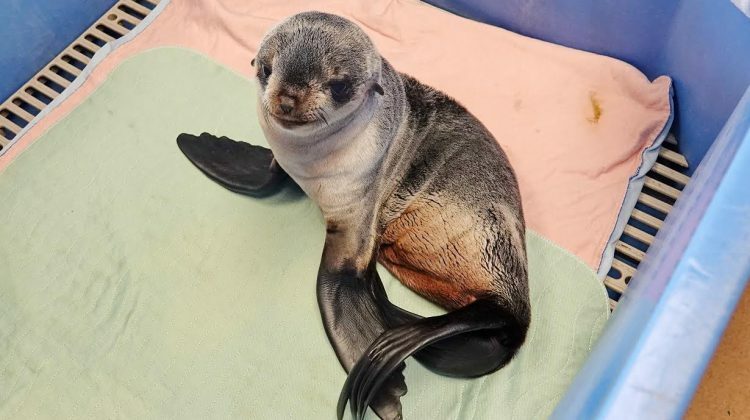 The seven-month-old northern fur seal pup, nicknamed Mo by her rescuers, is in care at the Vancouver Aquarium Marine Mammal Rescue Centre, an Ocean Wise initiative, after employees of a salmon farming operation spotted her swimming irregularly in waters near Hardwicke Island on Monday. On Tuesday, Vancouver Aquarium veterinarian Megan Strobel reported that the pup was “quite quiet,” and suffering from low blood sugar, hypoglycemia, dehydration and hypothermia. She also developed some diarrhea, a distressing sign for her age and species. Today, she’s showing signs of improvement; however Vancouver Aquarium head veterinarian Martin Haulena said she still has a long way to go to a full recovery. But vets altered her fluids as well as modified her diet and caloric intake, Mo has begun to respond to treatment. Haulena said any animal that comes into the rehabilitation is one that is quite sick, and the pup was in very poor condition when she arrived in Vancouver from Campbell River on a flight donated by Pacific Coastal Airlines. If she gains weight, displays adequate foraging activity, and shows that she is strong enough to avoid predators on her own , the pup will be released into the wild in a couple months. Although the northern fur seal is not yet listed under the Species at Risk Act, the Committee on the Status of Endangered Wildlife in Canada has assessed its status as Threatened. Their full range extends throughout the Pacific Rim from Japan to the Channel Islands of California. There are six established rookery sites in the North Pacific region, where Northern fur seals mate, give birth and nurse their young. At present, the species does not have an established rookery in Canada, although experts believe they did before the maritime fur trade. The four- to five-month breeding season is followed by a seven- to eight-month pelagic foraging phase, where the animals spend their time feeding mainly in offshore waters. The waters of B.C. are considered an important foraging area; the largest numbers occur in waters off B.C. from January through to June, approximately 20-150 km offshore. 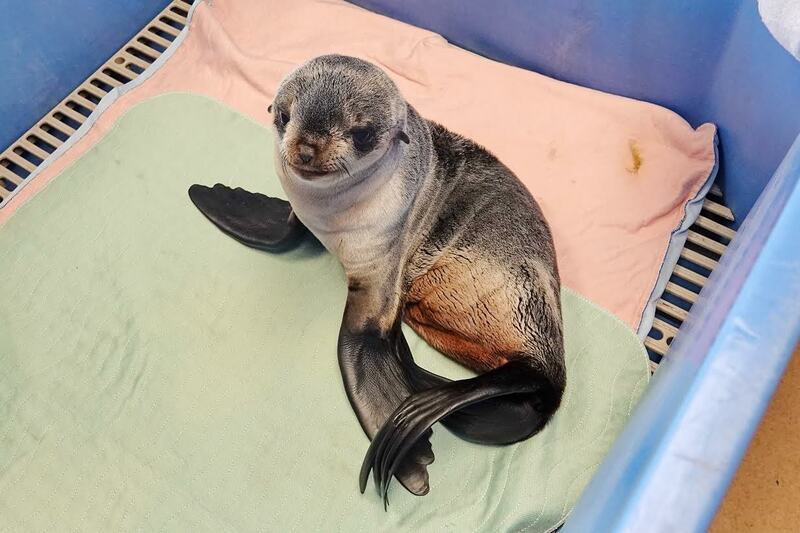 The Vancouver Aquarium Marine Mammal Rescue Centre last responded to a northern fur seal two years ago, when it rescued, rehabilitated and released a male pup in 2017. If you see a marine mammal that you believe is in distress, do not approach it and keep pets away. Call the Fisheries and Oceans Hotline at 1-800-465-4336, or Vancouver Aquarium’s Marine Mammal Rescue Centre at 604.258.SEAL (7325) for immediate assistance.